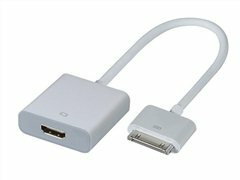 * Video output up to 1080p for iPad2 and iPhone 4S. * Video output up to 720p for iPad, iPhone4 and iPod touch 4G. * Movies and slideshows play at up to 720p.